The college prides itself on being a caring community. We believe everyone is of equal value irrespective of gender, ethnic origin, disability, class, age, creed, sexuality or any other perceived difference and we take active steps to prevent discrimination and promote equal opportunity. 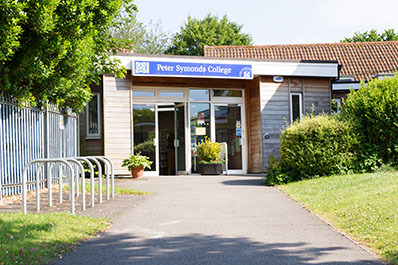 Click here to view further details and reports in relation to Equal Opportunities at Peter Symonds College. The Adult & Higher Education Division is committed to providing high quality education and training that reflects the best practice in equality of opportunity. We strive to create successful learning for all students by establishing a supportive environment, encouraging every student to aspire, apply and achieve. The Division also aims to encourage the active participation of all sections of the community in lifelong learning. It will provide learning opportunities that accommodate diversity and work to create a community which is tolerant and respectful of others and where acts of disrespect and displays of intolerance are not accepted. We look forward to seeing you on our courses and at our centres. If you have any questions or queries please contact us on 01962 886166.